Article written by Gareth Charlton for The Bike Shed about CRD64 Cafe Racer. When Julio approached the guys at Cafe Racer Dreams he didn’t even own a bike, but by courting the prolific Spaniards he was off to a winning start. We are huge fans, and so was Julio. Based in Menorca he wanted a classic motorcycle to enjoy day after day. Work began. The engine received a thorough mechanical rebuild and the original Bing carbs and air box were refreshed and maintained to instil the everyday reliability that Julio required. The battery was swapped-out for a smaller item, hidden out of sight to keep the new, stepped and looped subframe clear. Aftermarket shocks dictate the purposeful stance while Motogadget electrickery keeps everything super tidy and accurate around the dropped Renthals. A classic Ducati Imola style fairing hugs the front end and provides the perfect canvas for that stunning tribute paint job. 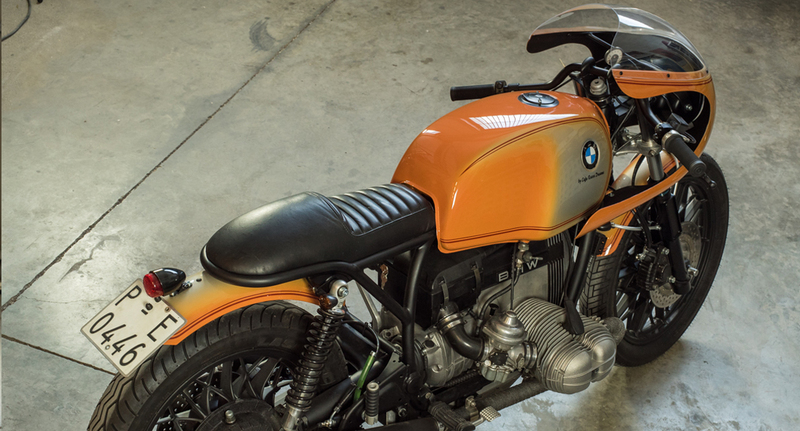 The CRD guys carry out their own painting duties and have executed the design beautifully, a quick google search attests to the accuracy of the colours and reminds us just how groovy those BMW designers were back in ’73. Can you imagine the factory offering this design on the R nineT? The finished machine is, as we have come to expect from the Cafe Racer Dreams team, a stunner from every angle. More than just a hat tip to the models that inspired it, this BMW has diluted none of its forebears character while bringing it bang up to date. Julio is one happy customer and CRD are equally proud of their efforts. Let’s bring back some more exuberant colour schemes shall we? 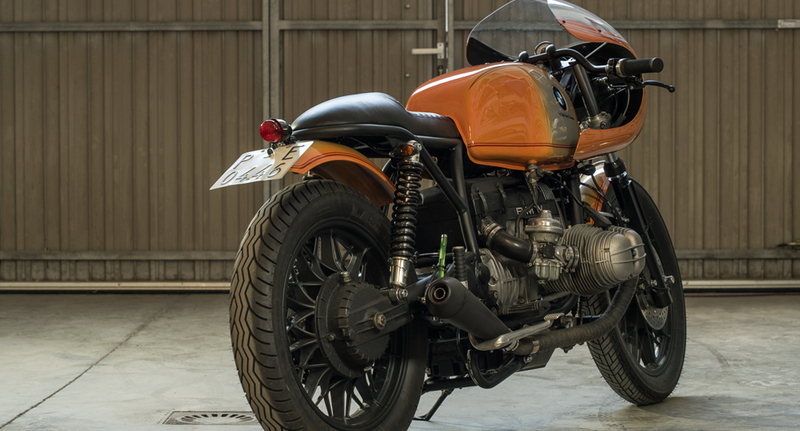 This article was written by the prestigious Bike Shed Magazine about CRD64 Cafe Racer. 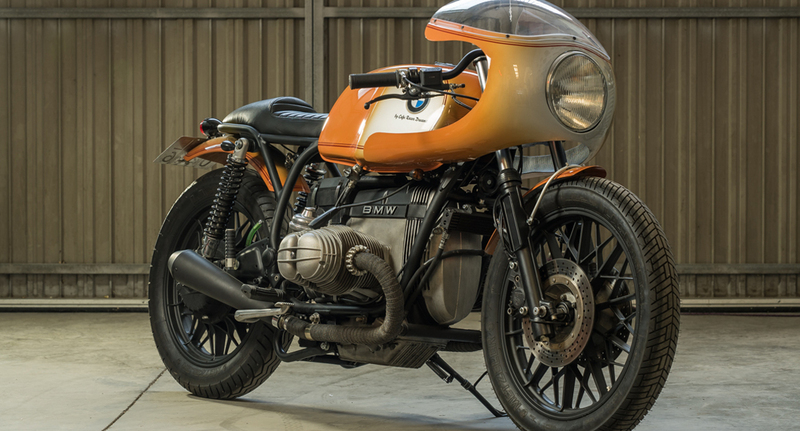 Please follow this link if you would like to keep watching some other BMWs created by Cafe Racer Dreams. Please contact us using this form if you are interested in purchasing a motorbike like CRD64 Cafe Racer.